- Language drop down menu in footer. 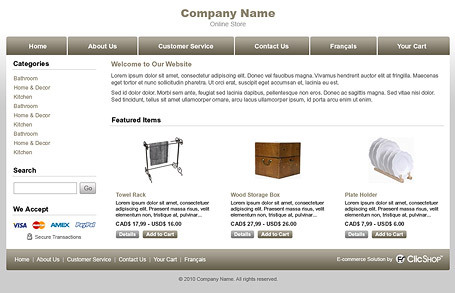 - Category listing on home page. - 03 featured products on home page. - Fixed width, center-aligned site. 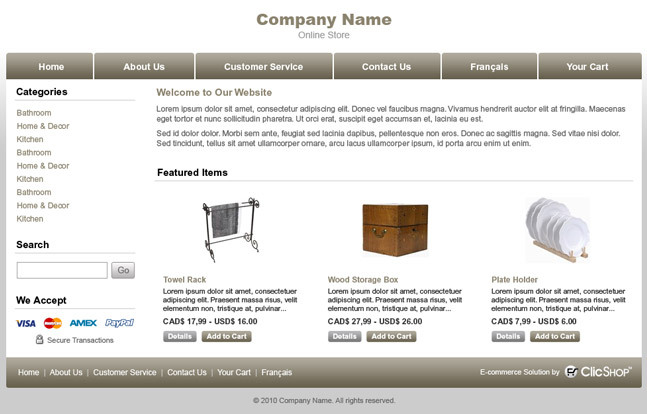 All our templates can be customized to your needs.